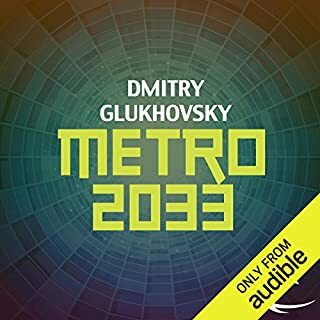 What did you love best about Metro 2033? How immersive the story was, how absorbed in the world I'd become whenever I would resume listening. Haven't felt that way with a good book in a long time, I credit the author and the voice actor for their ability to convey the heart of such interesting characters. The scene where the young boy who is with the old man attacks the Reich soldier and is killed, artyom through anger sacrifices himself on principle, in the presence of death. 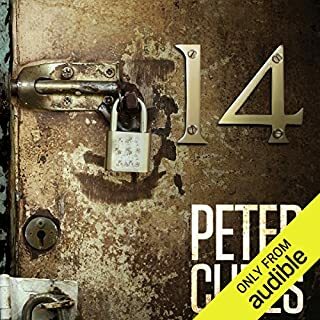 Rupert Degas is my favorite voice actor to ever do an audiobook. I've listened to like 30-40 audiobooks in my life and never have I been so drawn in and convinced by a full on performance of dialogue. Let me just say this, if this man doesn't do the 2035 audiobook when that comes out I will be ridiculously upset. Also, if you get a chance, try out the games they somehow manage to be phenomenal as well. This author has got something special with this world and I'd hate to see him let it go just yet, it's dying for more stories, begging for them, like a call, coming down the tunnel. What made the experience of listening to 14 the most enjoyable? The best part about this book is the team work and friendship amongst the tennants. Getting to see the natural flow of the group forming relationships with one another over something weird is uniquely entertaining. It's a fun book, with stakes that are much higher than you would ever anticipate. I dont want to spoil anything here but ill just say that HP lovecraft is a very obvious influence on the story and if your a fan of his work i think you will be very comfortable here.